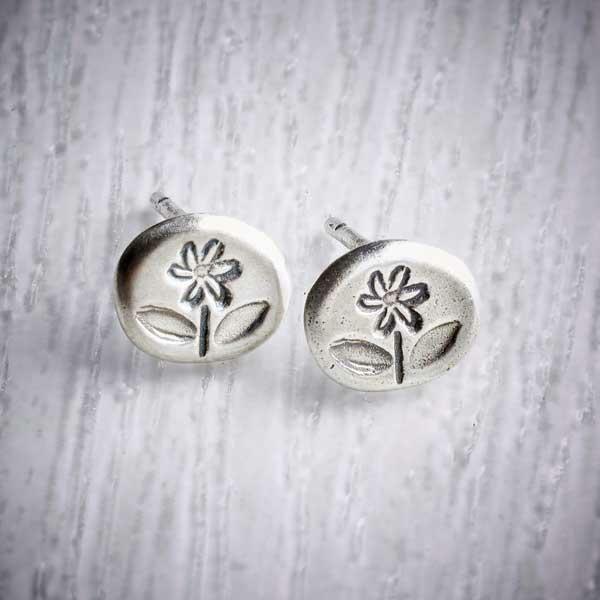 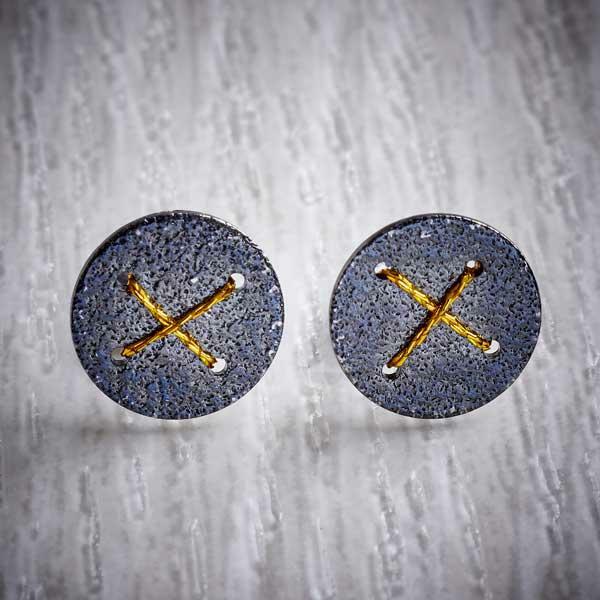 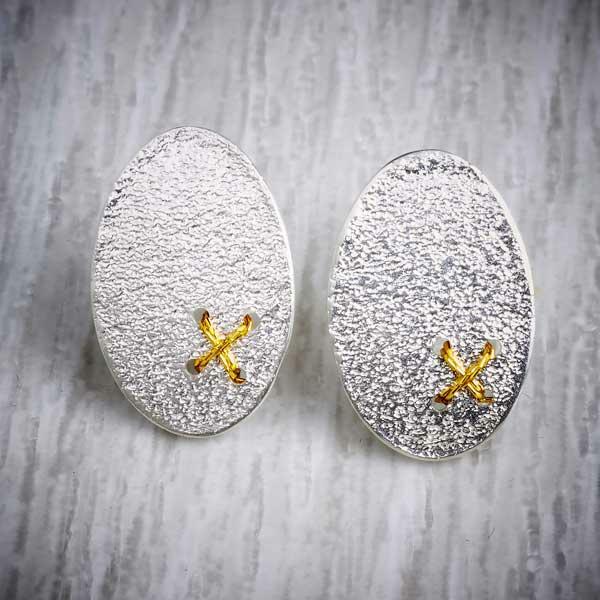 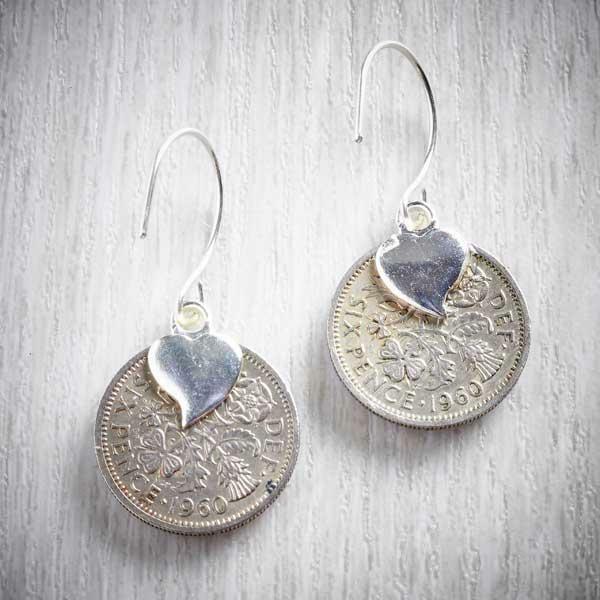 These quirky little bee earrings are created from original sixpence coins. 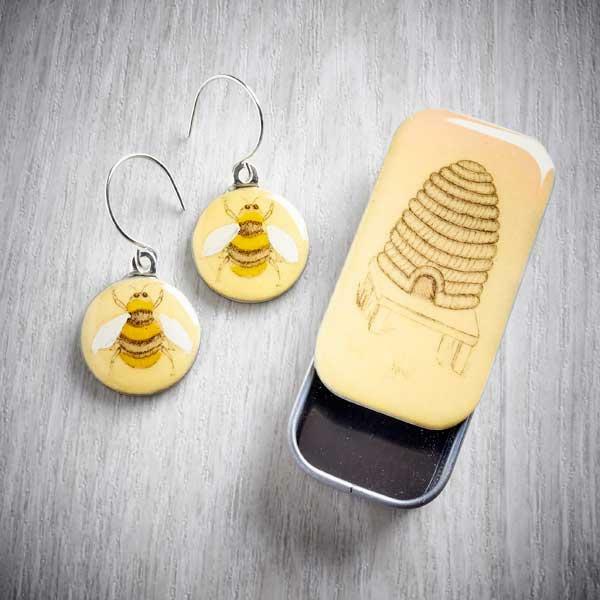 They have a matching beehive tin to keep them in. 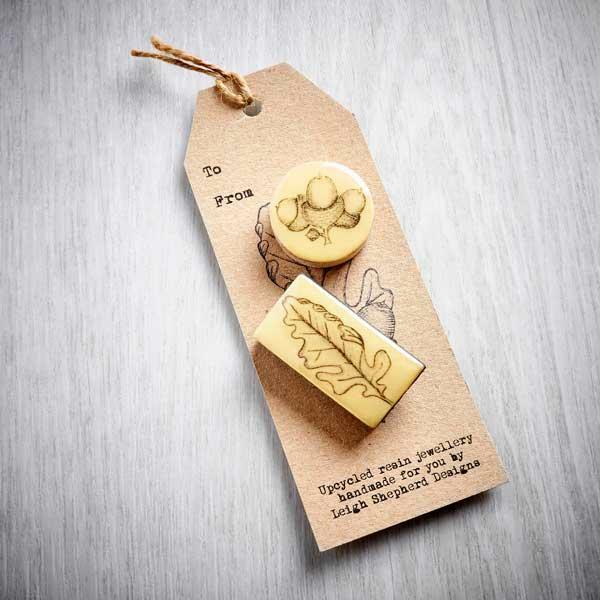 The bee is a print from one of Leigh’s ink drawings and is part of her Cottage Garden collection. 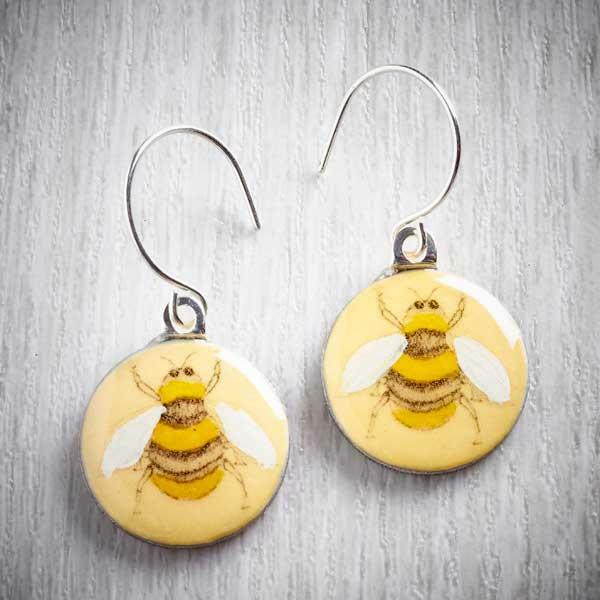 Each bee is hand painted before being mounted on a sixpence coin and finished with a glossy resin. 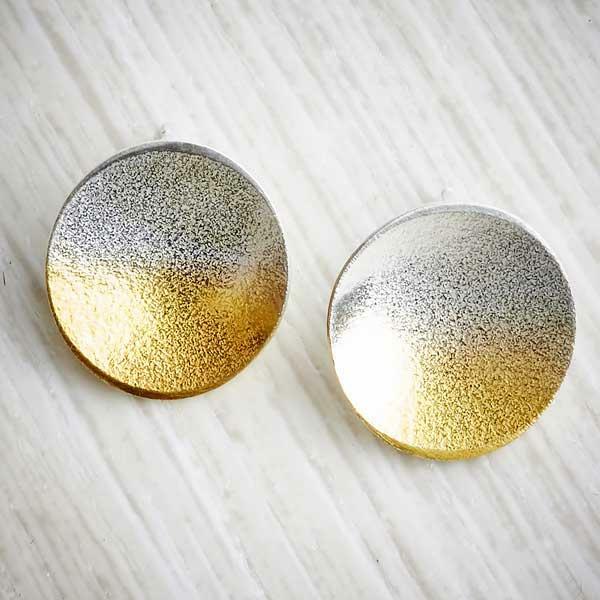 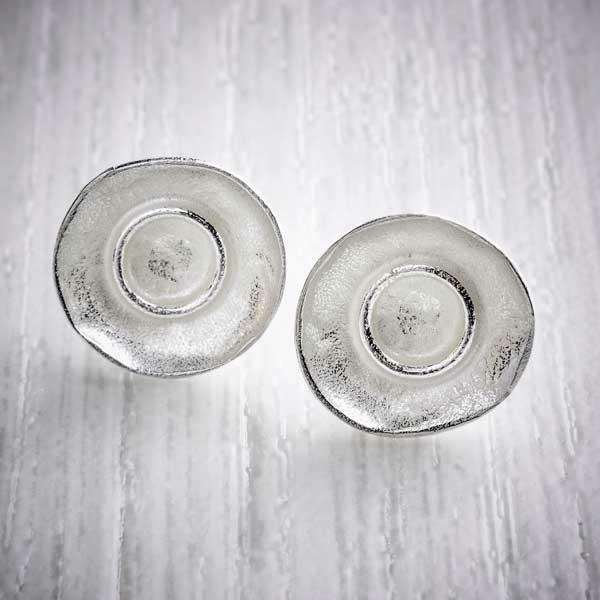 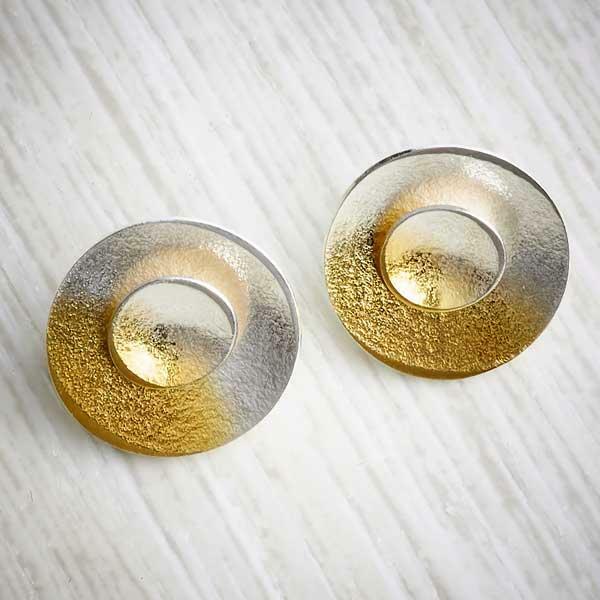 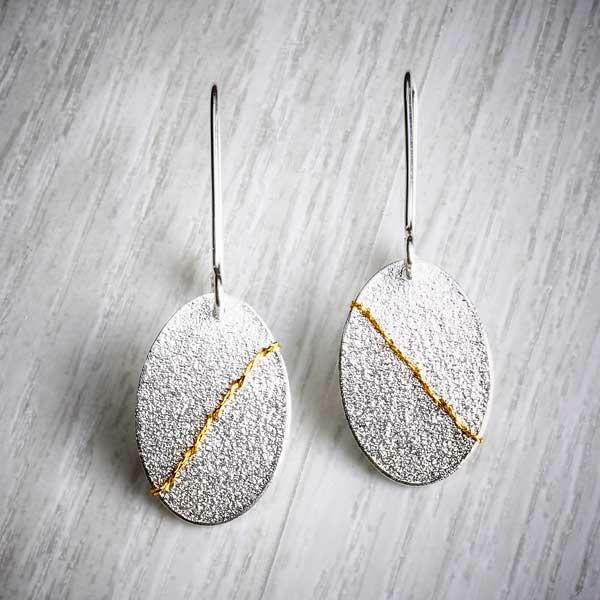 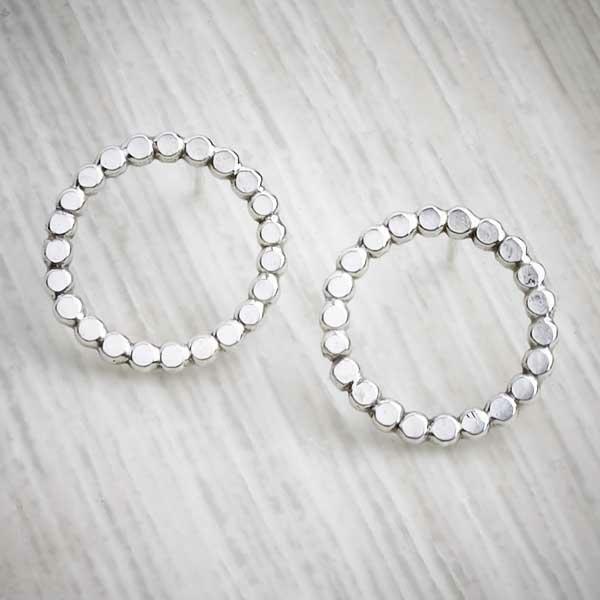 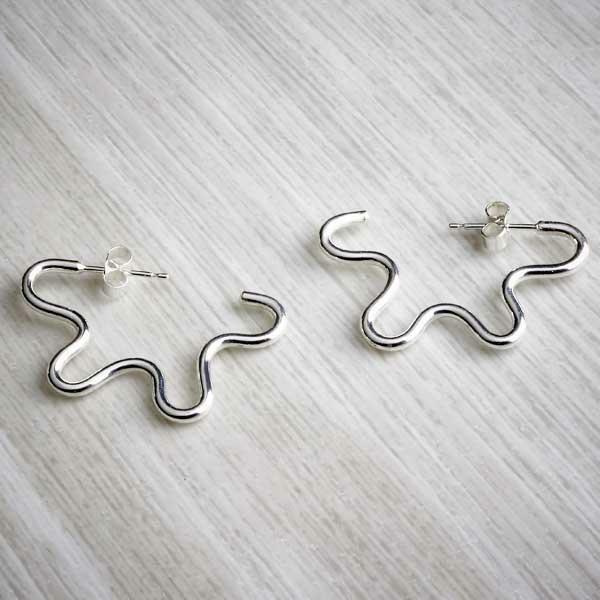 The neutral cream colour make these earrings very easy to wear. 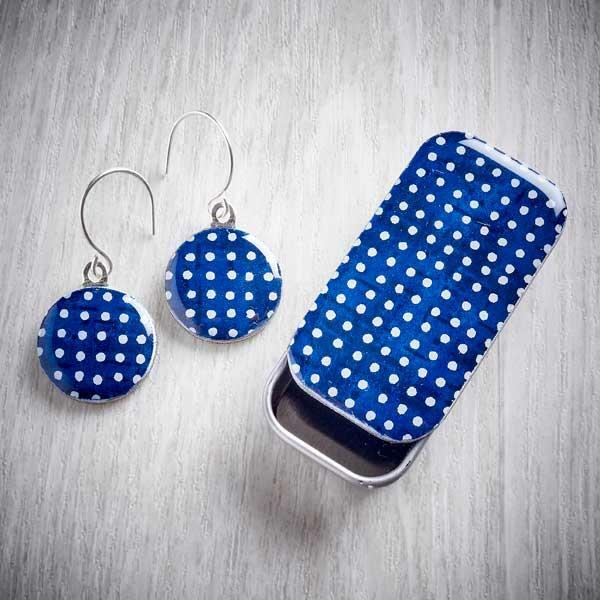 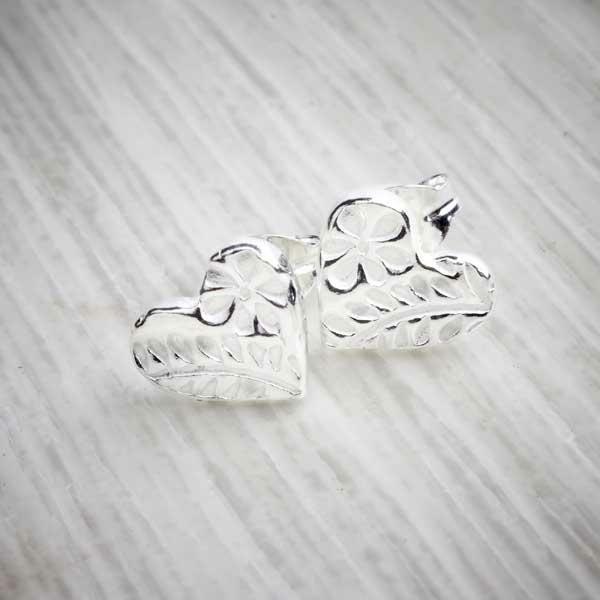 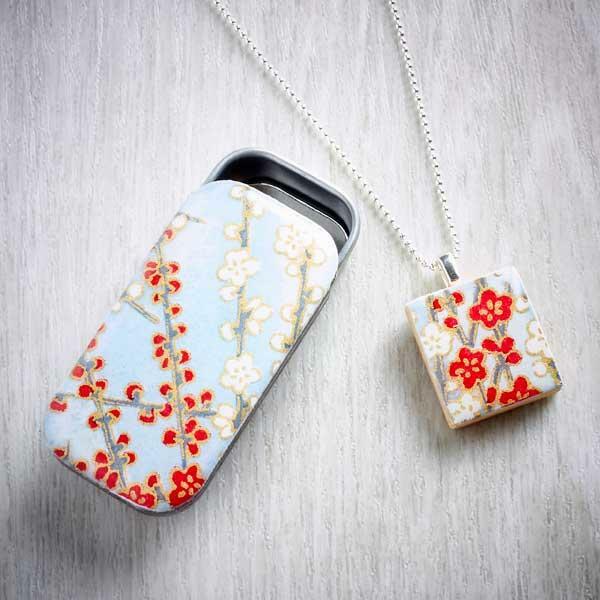 Along with the little tin these make a lovey gift or treat for yourself. 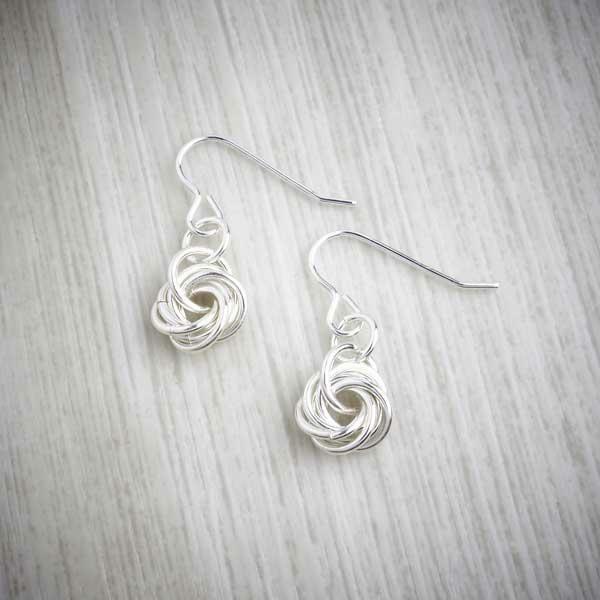 Your earrings will be wrapped in tissue paper and twine. 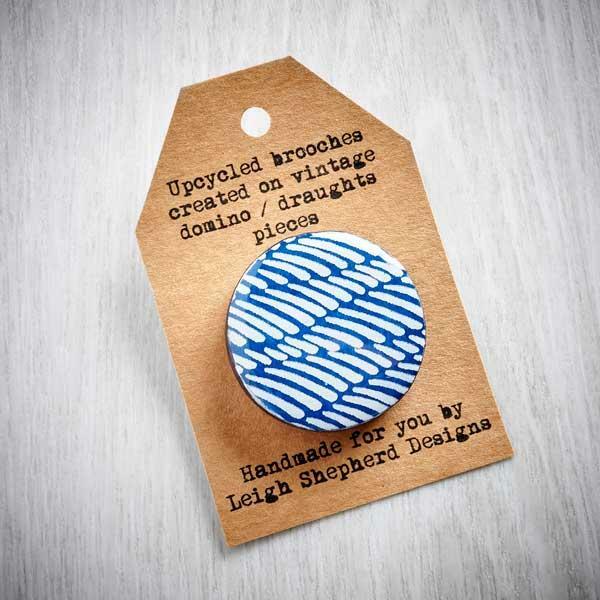 A care card will be included.